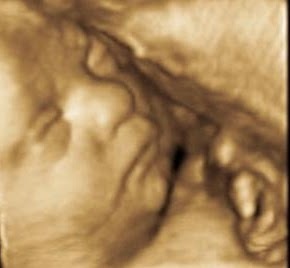 BIG BLUE WAVE: Who Cares if a 30-Week-Old Fetus Has to Suffer and Die in the Name of 'Choice'? Who Cares if a 30-Week-Old Fetus Has to Suffer and Die in the Name of 'Choice'? But elective abortions don't happen at that stage! I am so outraged. Allowing the child to have been born alive and placed for adoption would have been a far lesser evil. Nobody had to die. But hey, if a baby has to suffer & die in the name of bodily autonomy, tough luck, baby! Right feminists? Right. Who give a s*** about a defenseless baby?